Iraqi forces are advancing cautiously into the east of Mosul. The offensive was paused for one day as poor weather hampered visibility for their drones as they gain ground in Iraq’s second city. The troops are facing fierce resistance from ISIL militants – from sniper fire to suicide bombers. 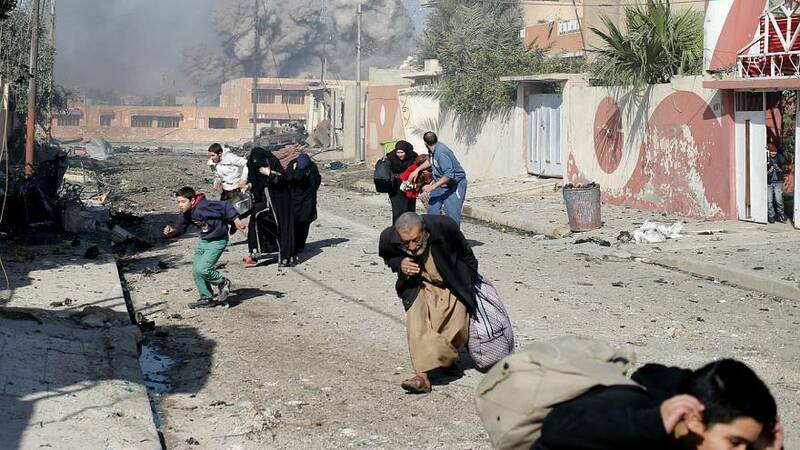 At least one soldier was reported killed, and civilians were seen fleeing the fighting. Those who escape the crossfire make their way to camps for the displaced, which are rapidly filling up. The International Organisation of Migration estimates 60,000 have already made their way to safety. Across the country, pilgrims are making their way to the holy city of Kerbala to commemorate a Shi’ite martyr. As ISIL loses ground in and around Mosul, militants are carrying out suicide bombings in the region. At least eight people were killed in an attack on Monday, targeting Shi’ite pilgrims.